We’re excited to announce that Curriki has been identified as a winner in The EdTech Awards 2019 from EdTech Digest! 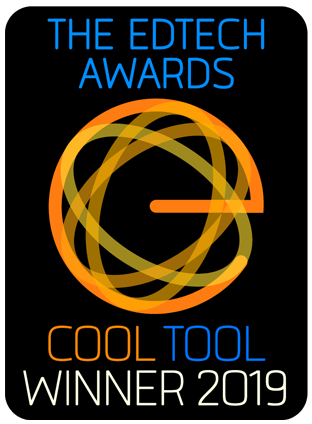 We are honored to receive the 2019 Cool Tool Award for Open Educational Resources! In 2017, Curriki was named a Finalist for an EdTech Digest award in the category of Content Provider Solution. We’re excited to share that we continue to be at the forefront of educational technology with this new recognition for our efforts in open education! Now in its 9th year, The EdTech Awards is the largest and most competitive recognition program in all of education technology. It is designed to recognize the biggest names in educational technology as well as those that are up and coming. “Nearly a decade in, The EdTech Awards persists in its salute,” said Victor Rivero, who as Editor-in-Chief of EdTech Digest, oversees the program. “And nearly a decade in, the people driving edtech forward persist in their passion to improve learning. The EdTech Awards 2019 celebrates edtech’s best and brightest all year long; innovators, leaders, and trendsetters who are shaping the future of learning.” Details about all the winning products can be found here. Thank you EdTech Digest! It’s Open Education Week, which presents a timely opportunity to provide some guidance on how to make sure the Open Educational Resources (OER) you’re using are high-quality, and give some tips on how to use them! Source: Open Education Consortium (OEC), Creative Commons Attribution 4.0 License. OER are free open educational resources that are used in the classroom to save teachers time and school districts money. OER come in a wide variety of forms: instructional videos, images, ebooks, games, research materials and other digital content, depending on the subject and students’ grade level. Because they are free and accessible online, OER can be made available to students around the world, in classrooms and homeschools, to children and adults, regardless of location or economic circumstance. By providing free and open access to education and knowledge, OER providers help create a world where people can fulfill their desire to learn, and can get additional information, viewpoints and materials to help them succeed. Workers can learn ways to improve on the job. Teachers can improve the quality of their instruction. It’s a win-win for everybody – as long as you know the OER you’re using is high quality. However, quality varies, so it’s important to know how to make sure the resources you want to use are high-quality and fit your students’ needs. Curriki members can also add their ratings and review curricula using a star rating tool. But how else do you know if the OER you’re considering has value for your classroom or homeschool? The University of Illinois Library provides a Guide for Evaluating Open Educational Resources. It gives instructors a basic understanding of OER, including how to find, evaluate, use and adapt OER materials for their own curriculum. Does this OER cover the content you’d like your students to learn in this course or module? How accessible is this content? Will it be accessible for your students or is it too technical? Is it robust and challenging enough for your students? How can you use the content? Verify the license that the resource is under. Can you revise the OER as long as it isn’t for commercial purposes? Who do you have to credit if you use it? Once you determine how you can use the OER, ask yourself what would you like to do with it. Does only a portion of it apply to your class? Would you want to combine this OER with another OER or resource? Does the library have access to articles that could act as supplemental readings? Open Education Week, happening the week of March 27-31, 2017, is a celebration of the global Open Education Movement organized by the Open Education Consortium, a global network of educational institutions, individuals and organizations that support an approach to education based on openness, including collaboration, innovation and collective development and use of open educational materials. 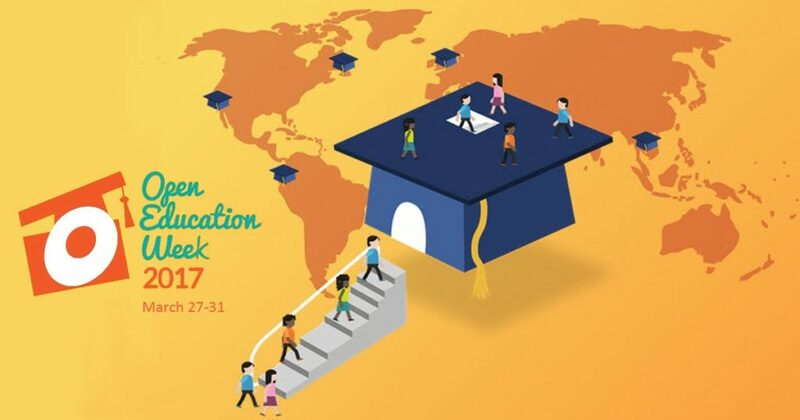 The goal of Open Education Week is to raise awareness about the OER movement and its impact on teaching and learning worldwide. Projects and resources: A wide variety of open education articles, from how to create an open online course to how to become an open educator. Perhaps these resources will help you use Curriki’s resources more effectively, or create some of your own to submit to our OER library. Events: Events celebrating OER are happening all over the world, from conferences to webinars to discussions of OER-related topics. If you attend any, please post your thoughts and experiences here! 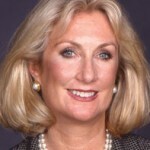 Kim Jones is the Chairman of the Board and Chief Executive Officer of Curriki. Kim is active in driving policy initiatives and is regularly featured as an honorary speaker on the impact of technology in education at influential meetings around the world. Learn more at Curriki.org. Sign up for Curriki’s enewsletter! The new “EV3 Programming with Java” textbook introduces Roberta teachers to Java programming techniques. The book has been published as part of the Fraunhofer Institutes’ “Roberta – Learning with Robots” initiative and is a joint development project run by the Institute for Intelligent Analysis and Information Systems (IAIS) and Oracle Academy. In addition to working through simple programming tasks, readers learn about a large-scale Roberta experiment, which highlights the advantages of textual and object-oriented programming demonstrated with practical examples. 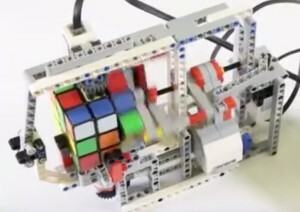 The initiative introduces children and young people to the joys of science and uses robots to teach gender and age-appropriate courses, showing how much fun technology and the natural sciences can be. The textbook explains not only the simple transition to text-based programming, but also introduces teachers and their pupils to a new programming language. A study from Student PIRGS (Student Public Interest Research Groups) across the nation has found that college and university students could save over $1000 per year if all textbooks were provided open source materials. The report is based on pilot programs at 5 different university campuses, and is available here. It notes that “According to the College Board, the average undergraduate student should budget between $1,200 and $1,300 for textbooks and supplies each year. That’s as much as 40% of tuition at a two-year community college and 13% at a four-year public institution.” The report notes that the college textbook market is artificial, since there is no direct consumer – producer link, as indicated in the figure below. A handful of academic publishers dominate the traditional textbook market. Open textbooks are high quality, faculty-written and peer-reviewed materials. They are available online and for electronic distribution in .pdf or other formats. The cost to students for open source materials is minimal. The findings are based on 21,697 students enrolled in OER courses at Kansas State University, the University of Maryland, the University of Massachusetts (Amherst), the University of Minnesota, and Tacoma Community College. The aggregate results indicate that students could save on average about $128 per course. Extrapolated to an academic year this is over $1000 per student per year. If all the 11 million full-time undergraduates in the U.S. were using only open textbooks, the aggregate savings would be well over $1 billion per year. There are also many full textbook resources on Curriki. A search for high school math level textbooks alone reveals over 200 resources. We encourage you to search at Curriki for core or supplementary textbook resources that you can use in your classroom! We at Curriki are so pleased that education rights activist and student Malala Yousafzai has been selected for this year’s Nobel Peace Prize. At 17 years of age, she is the youngest person ever to have won a Nobel Prize. Malala has worked fearlessly and tirelessly to promote the rights of girls to receive an education. A Pakistani national, she was attacked and shot two years ago in a cowardly act by Taliban militants in her country, simply because she had been outspoken on the subject of girls’ rights to education. But she would not be cowed. A very eloquent speaker, Malala has had more opportunities than ever to speak out on behalf of the importance of educating girls and supporting their rights. Malala is busy with her school studies as well as her promotion of education rights, and she loves physics. Upon hearing the news, Malala said “I’m proud that I’m the first Pakistani and the first young woman, or the first young person, who is getting this award. This is not the end, this is not the end of my campaign, this is the beginning.” Her interview with the BBC is here. Malala shares the 2014 Nobel Peace Prize with 60-year old Kailash Satyarthi of India. He is the leader of the Save the Childhood Movement, which has worked for decades against child forced labor and servitude. The Save the Childhood Movement web site is at http://www.bba.org.in. “This prize is a recognition and honor to hundreds and millions of children who are still languishing in slavery, who are still deprived of their childhood, their education, their health care, their fundamental rights” said Mr. Satyarthi. For children who are subject to forced labor, there is not even the hope of an education and their prospects for a decent future are seriously impaired. Curriki strongly supports the educational rights and aspirations of all girls— indeed all children—around the globe. We provide over 57,000 open source and free educational materials which are available to teachers and students around the world. Please spread the word and help us to increase the access to these and to future new resources provided on Curriki.